The last quarter of Spanish I this year will be centered around the novel Tumba by Mira Canion. 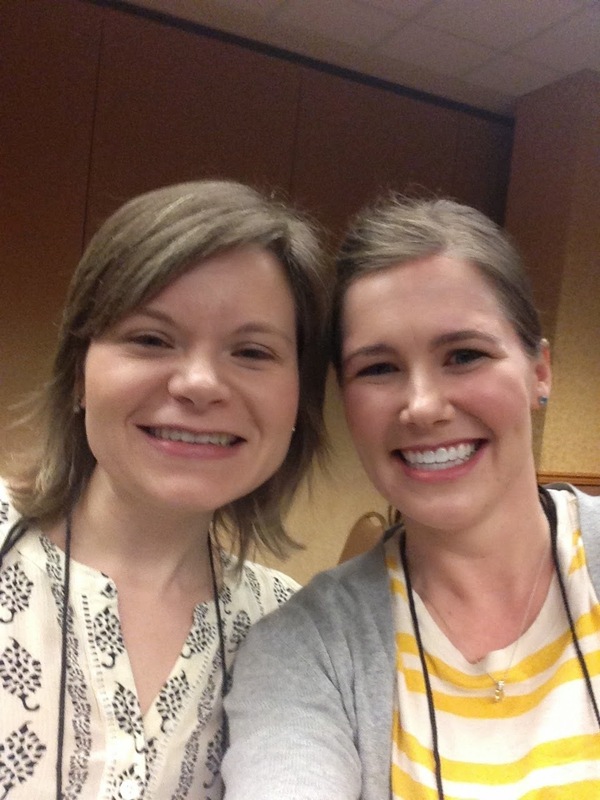 I had the chance to meet Mira at #CSCTFL15 where I botched her name (in case you were wondering it is is pronounced M-eye-ra not M-ear-a). 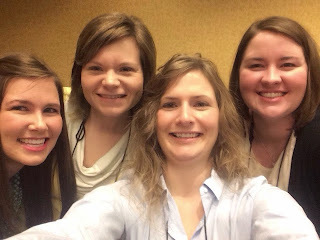 My students think it is pretty cool that I met the author of the book they are reading and that she went to high school in Iowa less that 15 minutes away! 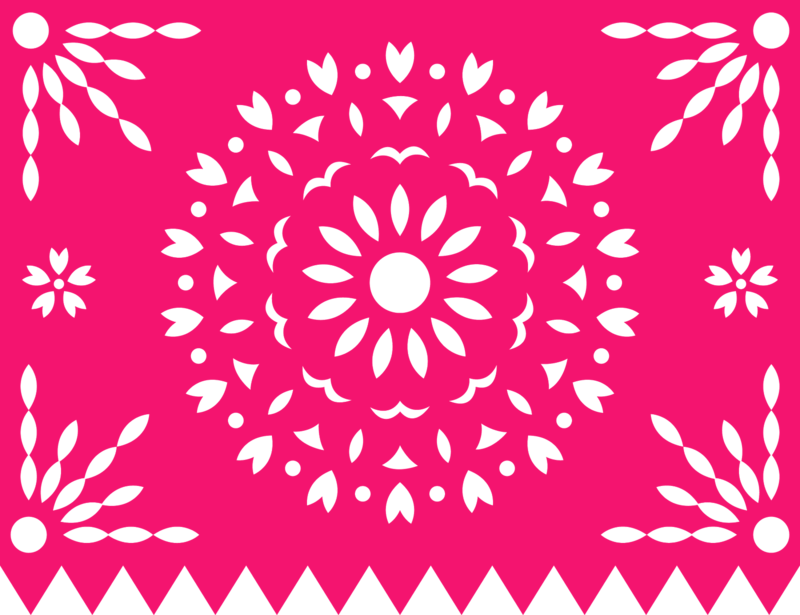 Tumba is centered around the holiday the Day of the Dead in Mexico and is a perfect easy reader for a level one class. The teachers guide and audio book can be purchased here. So far we have read the first two chapters and the students are loving it! I plan to share throughout our journey. 1. 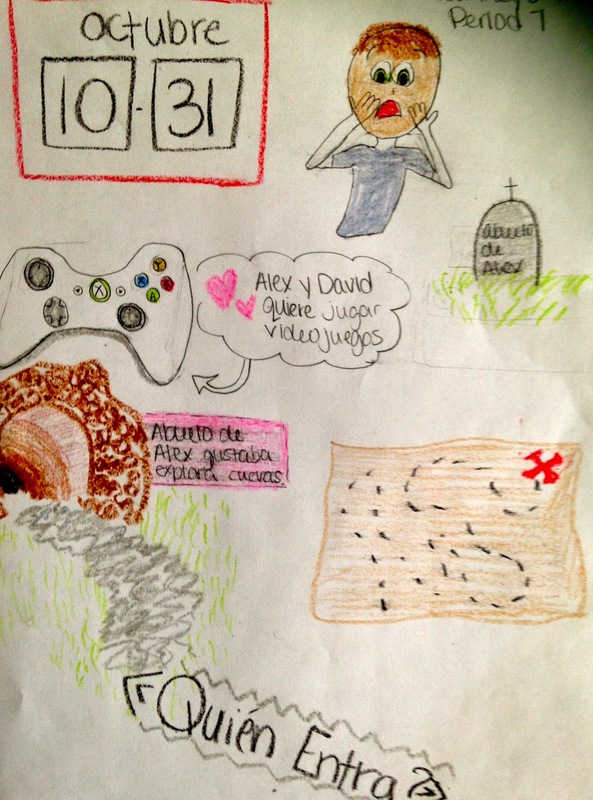 We watched this video about Día de los Muertos en Michoacán and completed activities by Elena Lopez that can be found here. The video is a great way to introduce some of the typical elements and vocabulary associated with the holiday. 2. We used this embedded reading for Tumba to introduce structures and characters in the novel. I projected the readings one at a time and read, circled, and discussed them as a class. The next day the plan was to start the novel, but since my son was sick I used these three readings to create an activity for the students to complete individually. 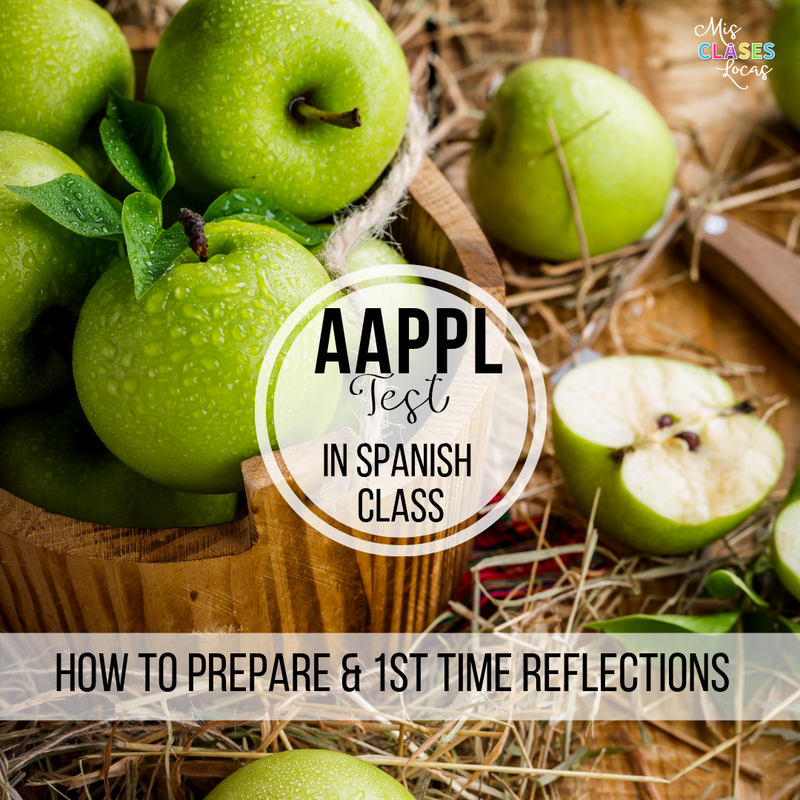 For reading one they roughly translated it and answered a comprehension question in Spanish. For reading two they read it and answered comprehension questions in English. Finally for the last reading they read it with a partner and then drew what they understood. A particularly great drawing is shown below. year doing an individualized novel study. Honestly when I wrote that I was not really sure what that meant for the class, but I knew with their feedback I would come up with a framework for how it would work to have every student in the class reading a different book. Through a couple grants I was able to purchase a variety of books for my classroom library, but besides my class sets, I only have one of each of these books. I want to allow these high level students choice and the chance to differentiate based on their reading level, but logistically I am still figuring out how it will all work out. For now here is the basic outline of this quarter for Spanish IV. Here are just a couple of the great resources I found this past weekend at the Central States Conference in Minneapolis, Minnesota. My first post can be found here. 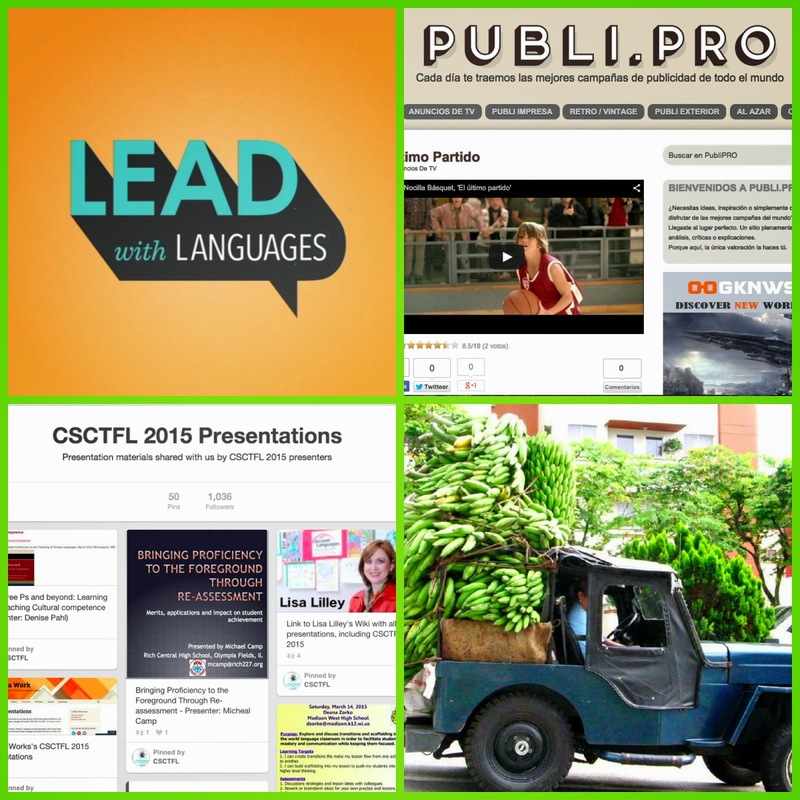 Publi.pro is a website in Spanish that is a goldmine of authentic ads in many languages. Carrie Toth (@SenoraCMT) mentioned this site in her sessions this weekend. (It was formerly publi.tv). Commercials make for perfect authentic listening since they are short, to the point and usually include a ton of culture. 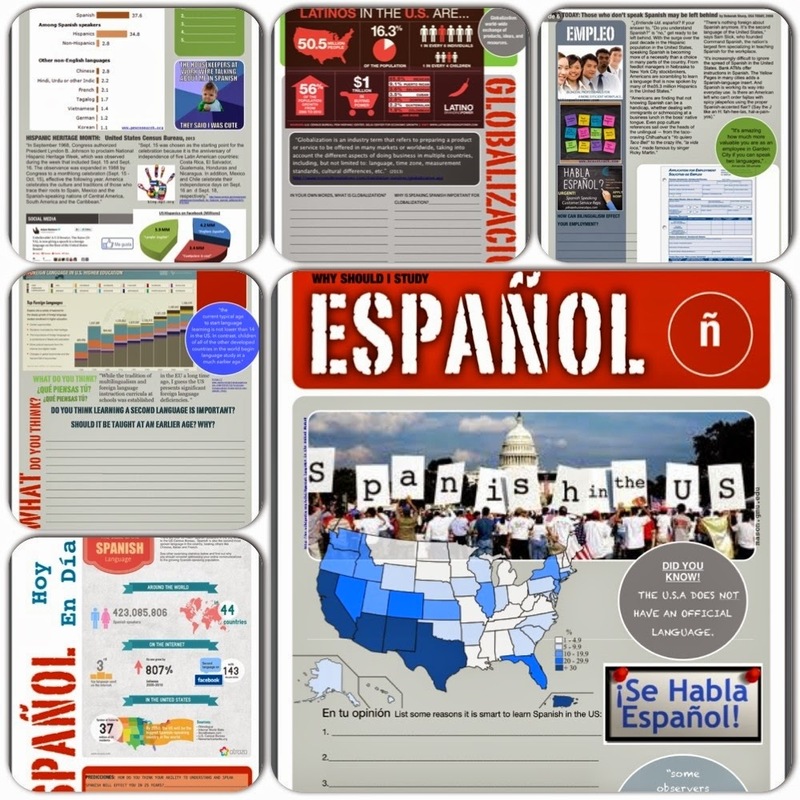 What a great idea to put all of the presentations together in one Pinterest Board! This way I can look through the handouts and presentations that I was not able to make it to. 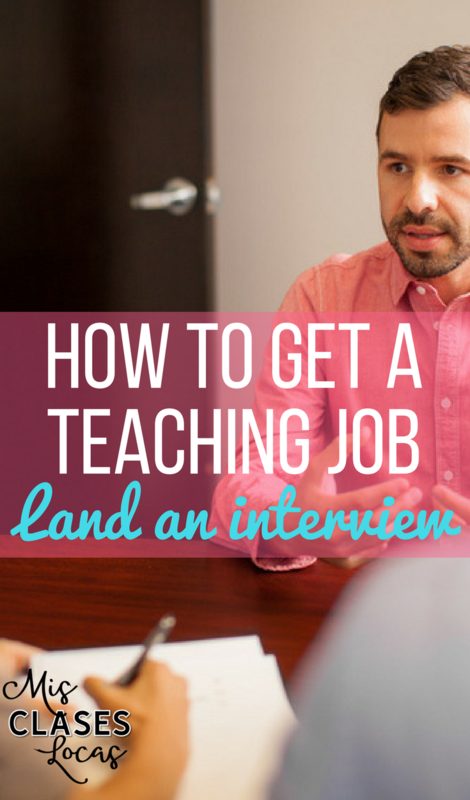 This is way better than a stack of PowerPoint handouts that just get stuffed in a file cabinet! 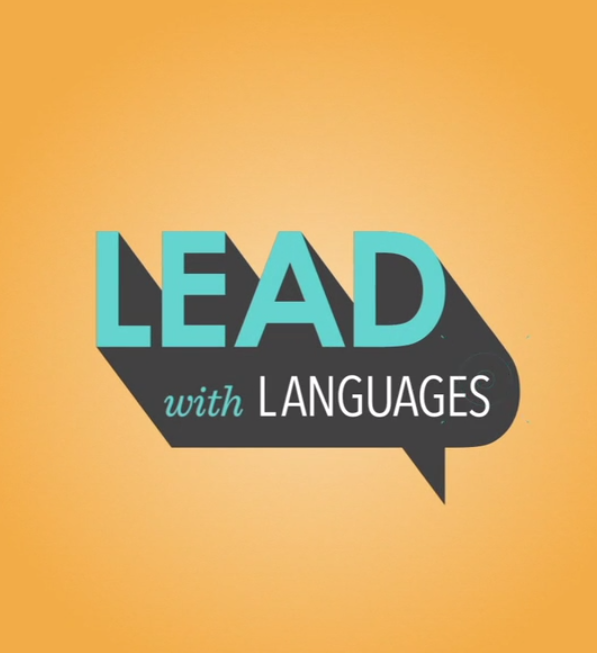 Lead With Languages is a campaign that should be coming out soon from ACTFL. This video would be perfect to show to parents at a back to school night, to students at the beginning of the year, or to administrators to show the importance of language learning. El ratón Pablito is just one of the many awesome video stories by Spanish Cuentos. 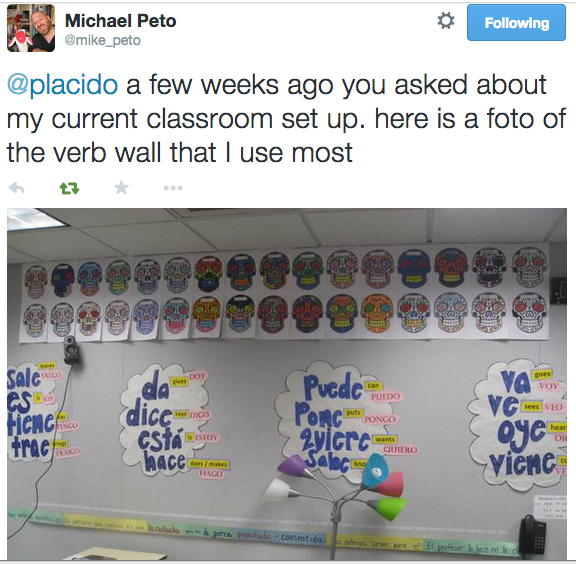 Craig Klein (@profeklein) is an amazing elementary Spanish teacher who teaches with stories he writes himself. His little students speak like natives with only two 45 minute classes a week. What he is doing in his classes is obviously working and I look forward to hearing more from him in the future since he is a fellow Iowan! 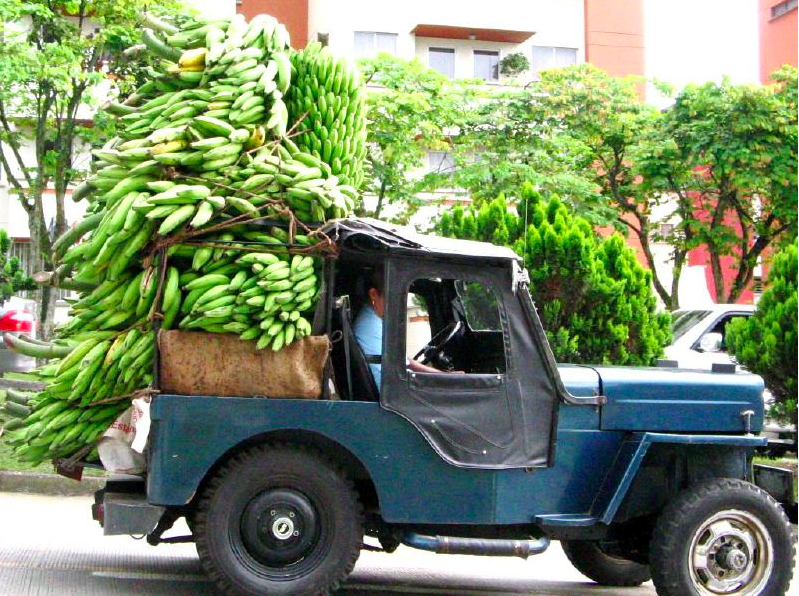 Did you know there is a man who has a mobile library on a Donkey in Colombia!? 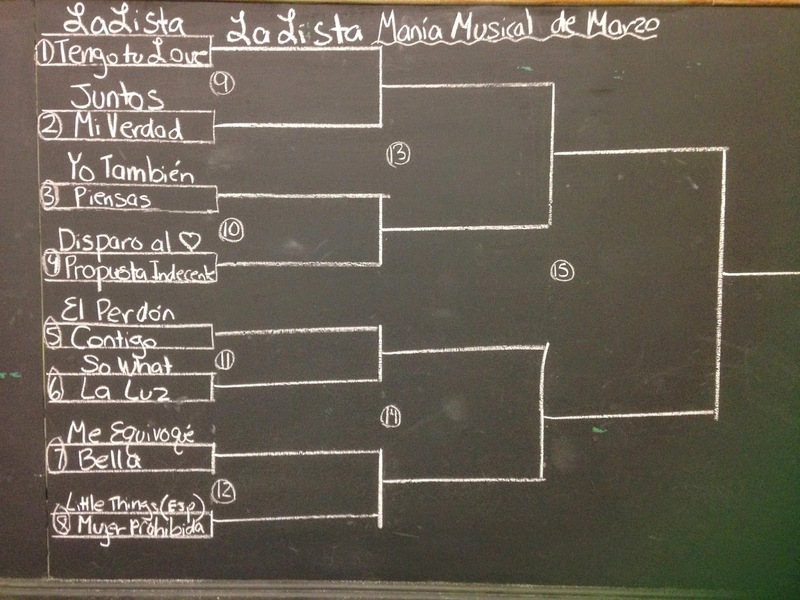 Profe Klein also introduced me to this positive and fun, cultural idea. 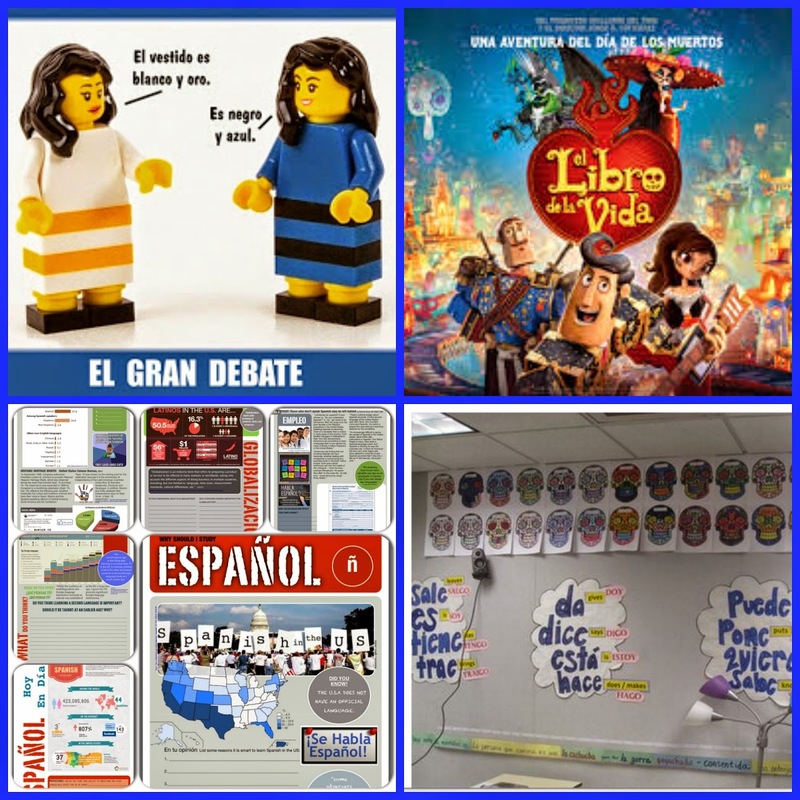 There are more resources to teach about Biblioburro here. 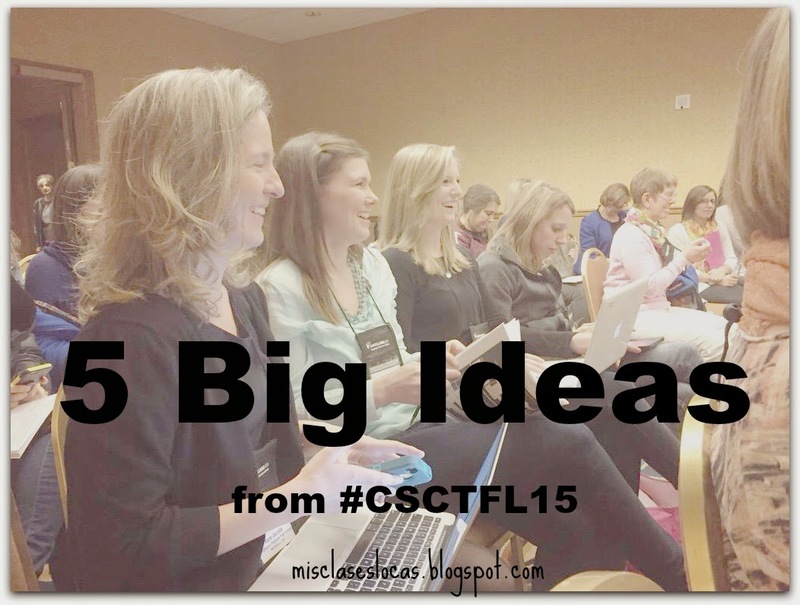 There are just a couple of the many great new ideas swirling in my brain from Central States! 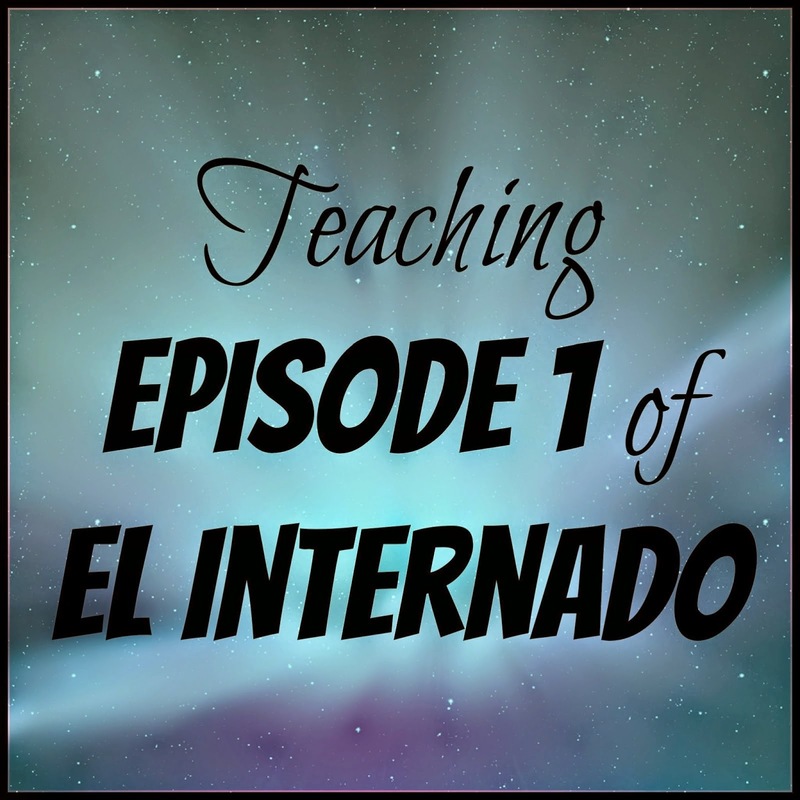 We are in the middle of conferences and finishing up the quarter, but I thought I would share a couple great resources that I have found while planning a mini unit on Semana Santa, or holy week. 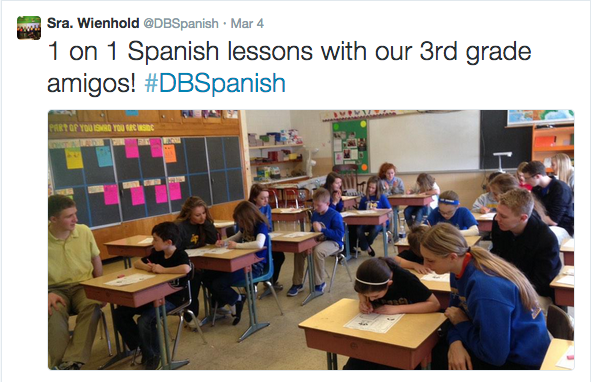 I currently teach at a Catholic school, and holidays in the Spanish speaking world are a really easy way to incorporate theology through the culture. Even if you are at a public school, the traditions around the world make for great way to put culture at the core of language teaching. This infograph would be perfect to both teach the traditions of Semana Santa, as well as the geography of Mexico. It could be used as a reading comprehension activity, a reading station, or expanded by having groups research and present on how Semana Santa is presented in these different towns or regions. This calendar describes what happens each day of holy week this year. This blog has a ton more infographs on Semana Santa. This Pinterest board has both ideas for Semana Santa, but also Easter as well. This is a great Pinterest Board with all things Holy Week. I plan on basing my mini unit around this awesome cultural unit by the always fabulous Martina Bex. Her embedded readings and activities make it possible to easily teach culture completely in Spanish. What resources do you have for Semana Santa? Please share in the comments! I used reading and writing in Spanish as a punishment, again. Having that class of mostly freshman boys at the end of the day constantly tests my patience, especially on Friday. Some days I try and push through the disrespect and talking over me as I attempt to circle, personalize, and work through a reading together. Other days I reach my limit and stop and stare at them and see how long it will take them to realize I am standing in front of them waiting to continue. Sometime I continue on, but others like this week, I snap and say you must silently finish the reading and questions on your own and turn it in at the end of class. So much for TPRS strategies, old school marm it is. 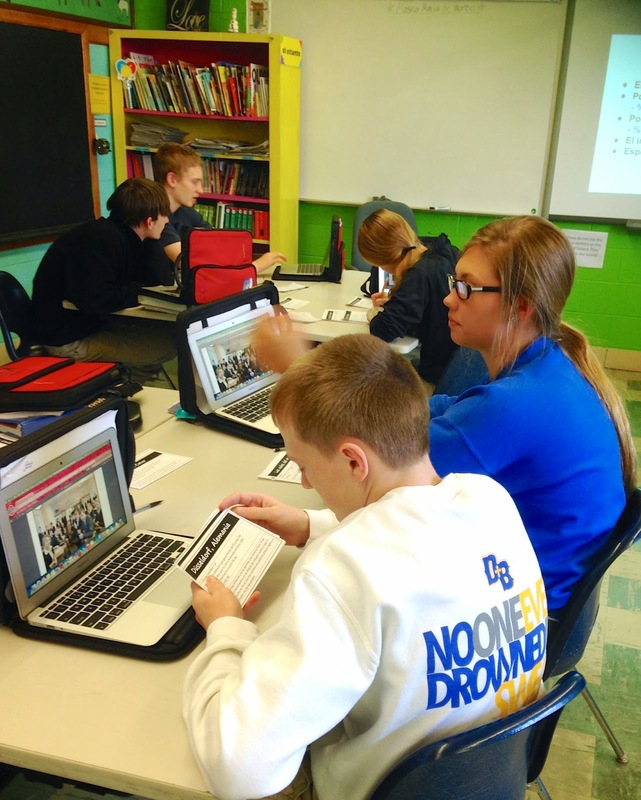 A board game created for a choice board end of novel unit was turned in with questions straight from the Internet. Hint: if you are going to copy questions from the Internet, change the numbering so it makes sense. A quick Google search of one question in quotes came up with the full list of questions. I entered a 0 and told the student to come talk to me about options. I know that this will tank their grade and will not be a true reflection of their learning, and would be willing to let them do a new project to show their skill and regain points. But, the student will not admit that it is not their work or talk to me about redoing the project, so the 0 stands. I am all for having fun and joking around, but if you lie to my face when I confront you about a situation, I may freak out on you. Three boys were the victims of my wrath when they assisted in the prank of stealing a girl's phone, passing it to a kid who took it to another class, and then lying to my face about it. 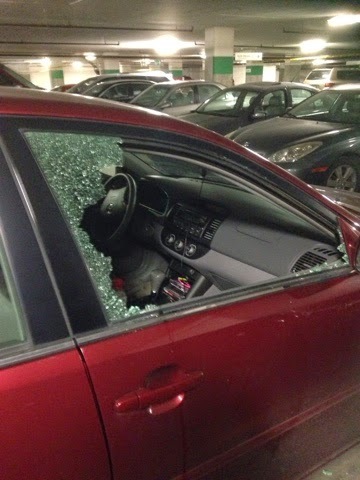 Do I think the yesterday's full moon had anything to do with the Friday crazies? You betcha. Could there have been better ways to handle the situation? Absolutely. This time of year is HARD for teachers. It is still cold and grey and gross outside and everyone is just fed up with winter and being cooped up together. It is BURN OUT season, where everyone is over school and the end of the year seems too far away. So, I need to step up my A game, and try and bring back some positive energy to end the year with a bang. A very successful "MORP" dance put on by my great Student Council to raise money for Stand for the Silent, which including me doing the "Single Ladies" dance. Today a wonderful, unexpected thing happened in Spanish IV. All of the sudden two students were up at the front boards leading the class in reviewing the novel Cajas de Cartón. (I have also blogged about planning & literature conversation circles with this novel). While this bright group never ceases to amaze me, today I leaned back in my chair in the back of the room, and just took it in thinking to myself, "Wow, they have really learned some Spanish." Granted this class is small, only ten of the best and brightest, but I just marvel at the great leaders they have become. These were my sophomore babies, who I also had in homeroom my first year, and am now in my third year as being their teacher. The last two years teaching this novel have been a struggle and fight, because "it was too hard" and I made them (gasp!) 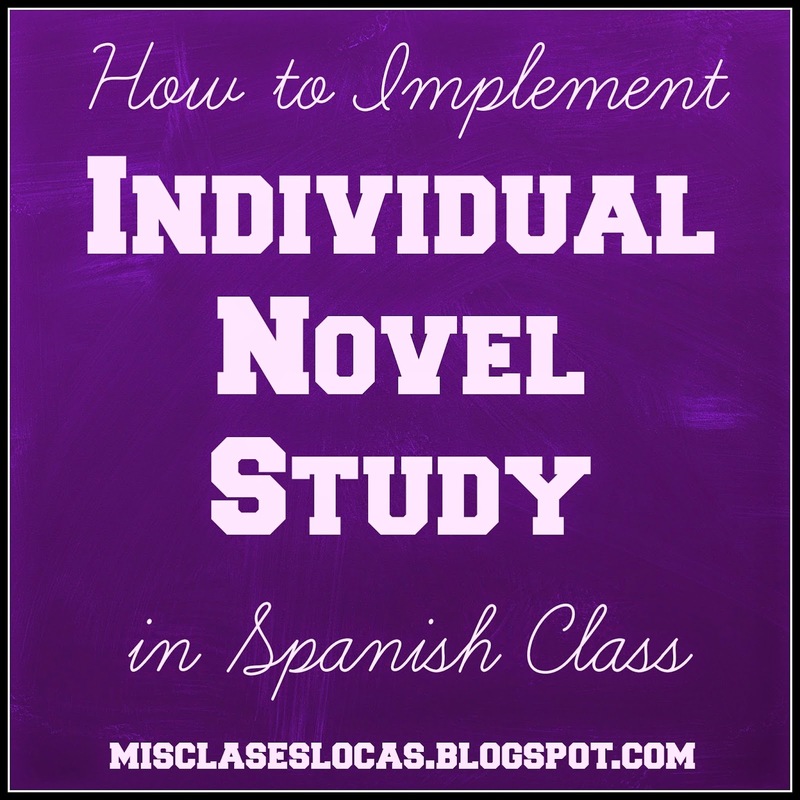 read, think, write, and discuss a real novel in Spanish. But this year, it has just gone so smooth! Granted, I am yet to see their final essay test they will complete Thursday, but if it is anything like their class discussions, I think I will be impressed. Today a few students were out on a government field trip to the state capital, and I had just roughly planned that we would finish discussing the end of the book, as well as review for the essay test. I have learned that with a bright group like this one, I ASK THEM, how they would like to review, and what they would like to discuss. Suddenly, a student was up at the board making a timeline of important events in the book, and another on the other side making a family tree with characteristics of each main character, from the input given by their classmates. Sure, I was providing probing questions and occasional suggestions from the back, but the STUDENTS were the ones facilitating the class. Today really reminded me first of all how blessed I am to have this wonderful class, one that I honestly look forward to every day. It was also great to be the coach on the sideline (like Amy Lenord), watching the team captains run the plays. I completely understand that something like this, offering unlimeted choice, may can not work in every class. 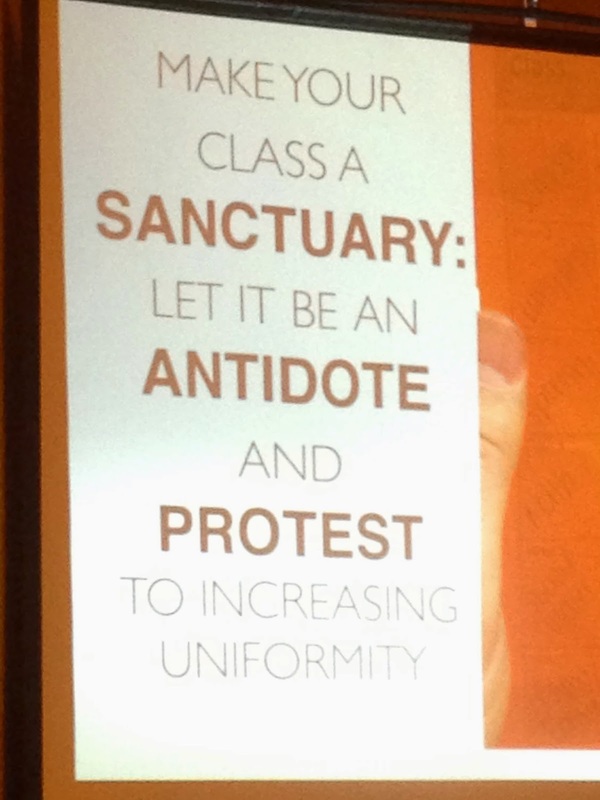 (I am especially thinking of my rowdy class of freshman boys who need every minute planned or they erupt in mass chaos). 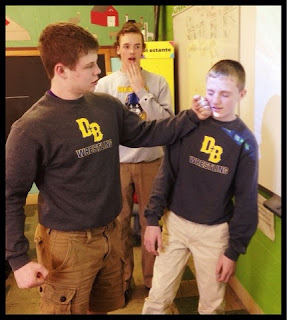 At the same time, maybe I have not seen this kind of leadership from the freshman, because I have been doing them a disservice, insisting on a teacher focused class for reasons of behavior management. Either way, I need to remember that choice should not just be for Real World Homework, but everyday in the classroom as well. So no, I do not have any resources to share today. It is more of post for a proud mama bear to reflect on how far we have come as a class. But I will leave you with this thought I am pondering. Does my class allow the students the opportunity to amaze me? Happy March! Here is what I am loving right now from around the web. 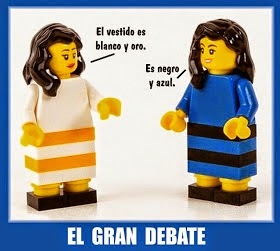 Anne K from Confesiones y Realidades put together this awesome photo in Spanish to use as a talking point for #thedress. Some may be already over it, but others are still fired up defending their side, perfect for discussion in the target language! Since I will be moving schools next year, I have a whole new room to plan! I fee like a first year teacher and now want to start from scratch and make all of my "decorations" on the walls a worthwhile use of space. I plan to use Mike's high frequency words as an inspiration. 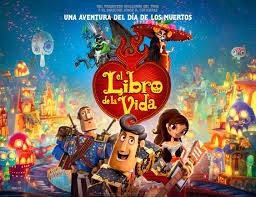 Kara has done it again with an awesome movie guide, this time for the movie El Libro de Vida or The Book of Life. Spanish 1 is going to end the year with the novel Tumba by Mira Canion (Yes, I know wrong time of year, but it works with where we are :) and this movie will be a perfect complement. You can see my review of the movie here. 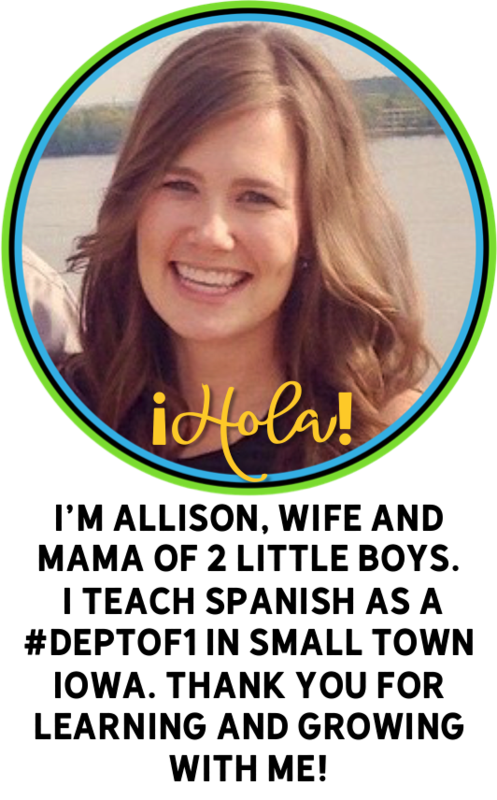 Who doesn't need more ready to go sub plans for non Spanish speakers!?! These infographs come with questions ready to go when you are in a pinch. 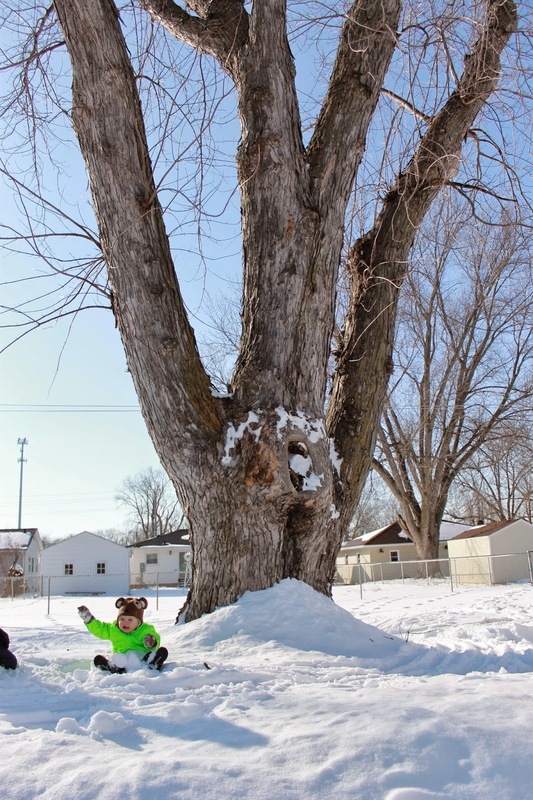 While the little guy had fun in the snow this weekend, we are ready for Spring!